ZoHa Islands 10 Year Customer Appreciation SALE & Celebration Starting October 27th!! As many of you know ZoHa Islands is celebrating its tenth year in business with a celebration on October 27th from 1 PM SLT to 11 PM SLT with 10 live performers and a plethora of wonderful raffles and prizes to win! More info about the event can be found here. There will be a prize given each hour for TEN hours straight! ADDITIONAL LAND SALE!! SALE!! SALE!! Starting October 27th, we will be holding a land sale that will benefit all existing ZoHa Customers seeking extra prim! Additional Full Prim region parcels and sims will be 20% off list prices. Additional Homestead region parcels and sims will be 10% off list prices. This sale includes 20% off full prim sim land – this includes 20k (15995L/week with 20% discount) and 30k (17595L/week with 20% discount) prim sim regions AND PARCELS. Homestead region parcels and sims will be 10% off list prices. This means Homestead sims for 6925L/week! Refer a friend and have them speak to an agent today! Are you wanting to return to ZI after a nice long summer away in RL? 2 weeks down gets you the same deal. Come on over and speak to an agent today! Please find a list of standard pricing here that discounts maybe applied to. Speak to a sales agent BEFORE buying your additional land to get this promo! Posted in EVENTS, HINTS & TIPS, NEWS, SHOWCASE. 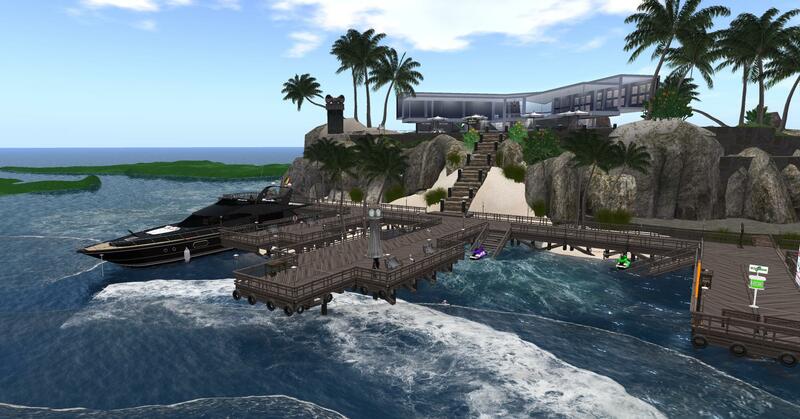 Tagged Celebration, Customer, Land, Live Performances, Live Singers, Party, Promotion, Sale, Second Life, ZoHa. Have you been considering ZoHa Islands as your home? Looking for a full homestead in the best estate company on the grid? Now is the time to make your move! Zoha Islands is having a spring cleaning sale on FULL Homesteads! Your price: $7250L per week! PLEASE READ ALL RULES AND LIMITATIONS BELOW!! • Regular price: $7696L per week. That’s a savings of $446L per week! • A full homestead is 65536 sqm and has 3750 Prims – it comes with full Estate Rights to change sim rating, terrain textures Etc. • It can accommodate up to 20 avatars at a time. This is perfect for residential homes or lower Traffic stores and businesses. • New or Returning Residents of Zoha Islands only. (Friends & Family referrals) Even if you just want to come back! • If you currently own a homestead, you cannot claim the lower price or ask for it, unless you are buying an ADDITIONAL homestead in addition to your current rental. • If you own a homestead and purchase an additional one at the sale price, and you give up the original one down the road, the $7250L price will no longer be valid and your tier will revert to the same as your original one. Contact one of our Sales Agents or Estate Managers today and grab your homestead at this amazing price before they’re all gone! Come to our Sales Office by clicking here: ZoHa Islands Sales Office. If you’re a current resident looking to upgrade to take advantage of this amazing price, simply ask for help in group chat. Posted in SHOWCASE. Tagged full homestead, homestead, Sale, Second Life, SL, ZoHa Islands.